We published our impressions from the Moevenpick Resort Laem Yai Beach Samui first right on-side here. The artistic interventions by Julia Murakami appeared first here. At the time the beach resort was known as the Passage Samui. Describing the Moevenpick Resort Laem Yai Beach Samui aint that easy. It is a place in abeyance, rather a mood than a space. 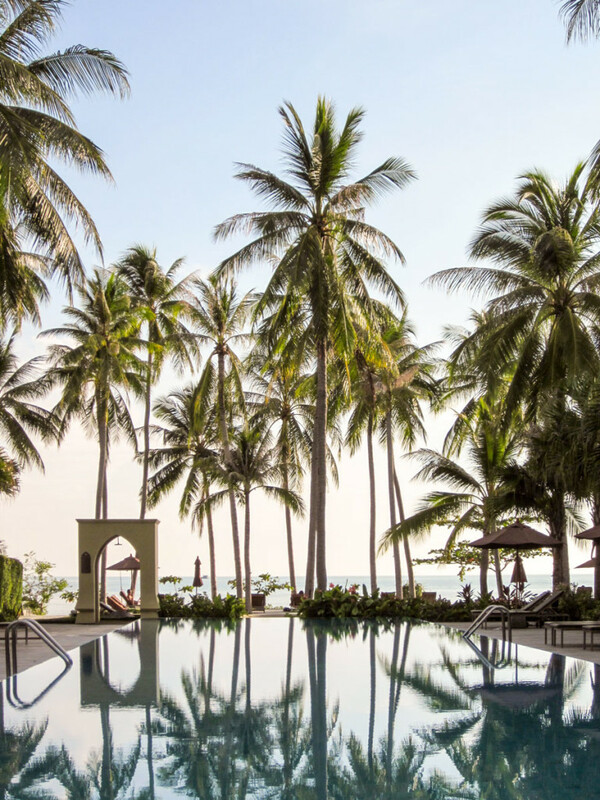 Visiting the Moevenpick Laem Yai is a smooth transition into a state of relaxation, a passage to the peace of mind. Flocks of lamps like fireflies. The impressive ceiling lamps of the Moevenpick Resort Laem Yai Beach Samui. 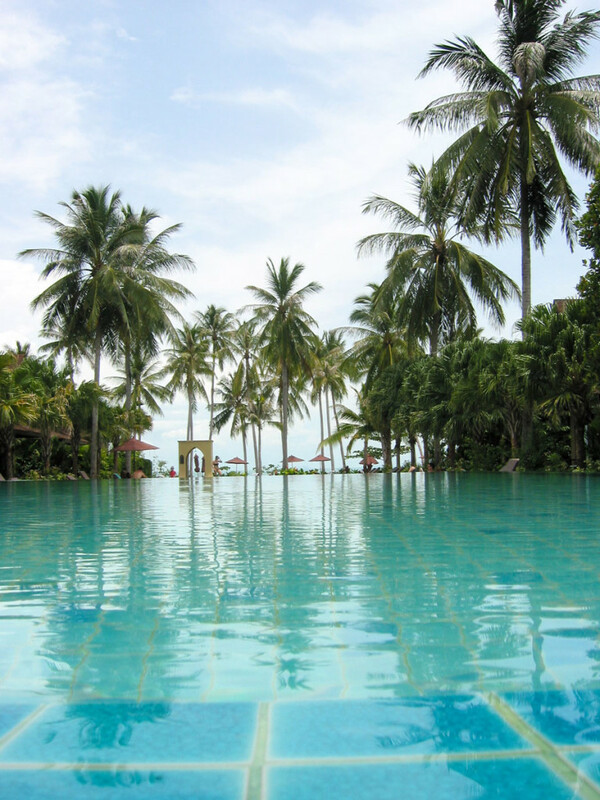 The Moevenpick Laem Yai Beach Samui is a waterworld. Like an oasis it is centered around its well, the signature infinity pool with the beach within reach.